Organisations: Bill and Melinda Gates Foundation. 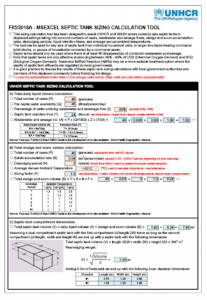 DatabaseDocTypes: WASH Design Documentation. 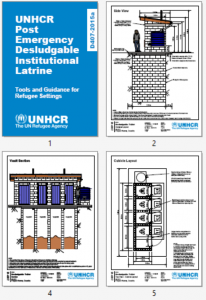 Categories: WASH Operational Guidelines. 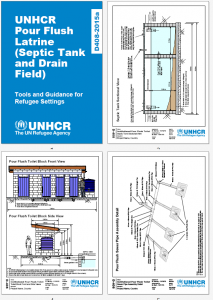 Tags: Grey Water Disposal, Septic Tanks, and Septic Tanks. Tags: Handwashing with Soap and Hygiene Promotion. 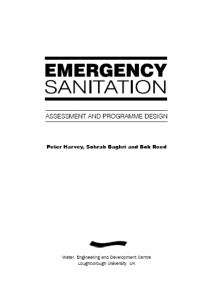 Tags: WASH Programme Management, WASH Programme Management, and WASH Strategy Development. 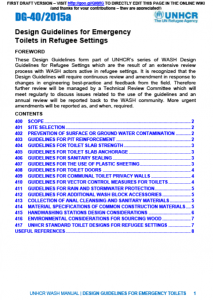 Categories: WASH Design Guidelines, WASH Design Guidelines, WASH Design Guidelines, WASH Guidelines, WASH Guidelines, WASH Policy Guidelines, WASH Technical Designs, WASH Technical Designs, WASH Technical Designs, WASH Technical Designs, and WASH Technical Designs. Locations: Africa, Dollo Ado, East and Horn of Africa, Ethiopia, and Ethiopia. Organisations: CDC, OXFAM GB, OXFAM GB, WEDC, WEDC, and WEDC. 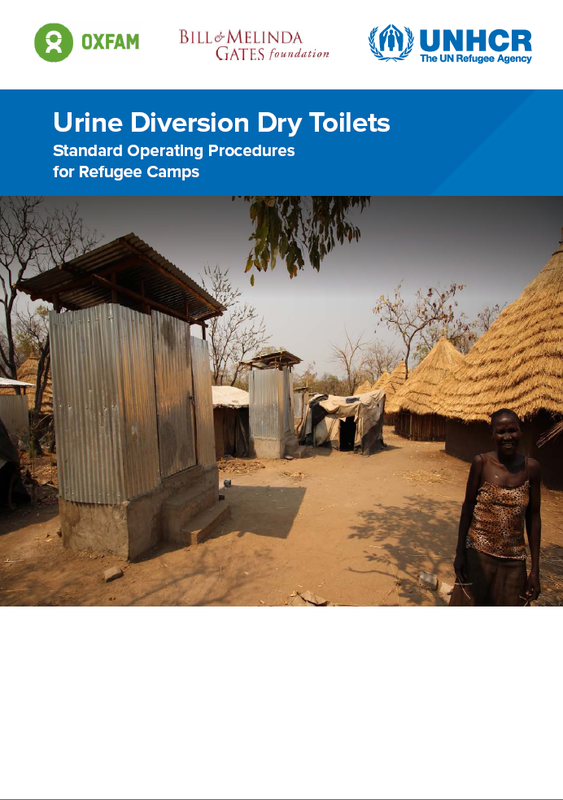 The report examines the feasibility of a wide range of standard sanitation technologies in addition to sanitation innovations in refugee contexts (including miniaturized biogas, reinvented toilets, new processor technologies, SMS dispatching, pay per use toilets, sale of by-products). Technologies were evaluated based on upfront investment cost; technology viability, suitable size and transportability; flexibility and resilience; and value for money. 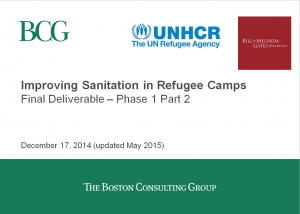 Organisations: BCG. 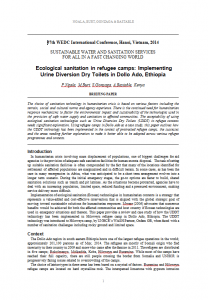 Categories: WASH Research Documents and WASH Research Documents. 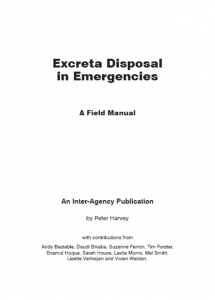 Tags: Communal Toilets, Communal Toilets, Communal Toilets, Communal Toilets, Communal Toilets, Communal Toilets, Communal Toilets, Desludging and Excreta Transportation, Desludging and Excreta Transportation, Desludging and Excreta Transportation, Desludging and Excreta Transportation, Desludging and Excreta Transportation, Excreta / Urine ReUse, Excreta / Urine ReUse, Excreta / Urine ReUse, Excreta / Urine ReUse, Excreta / Urine ReUse, Excreta / Urine ReUse, Excreta Composting, Excreta Composting, Excreta Composting, Excreta Composting, Excreta Composting, Excreta Composting, Excreta Management, Excreta Management, Excreta Management, Excreta Management, Excreta Management, Excreta Management, Excreta Management, Excreta Management, Excreta Management, Excreta Management, Household Toilets, Household Toilets, Household Toilets, Household Toilets, Household Toilets, Household Toilets, Sewerage and Excreta Conveyance, Sewerage and Excreta Conveyance, Sewerage and Excreta Conveyance, Sewerage and Excreta Conveyance, WASH Assessments, WASH Assessments, WASH Monitoring, and WASH Monitoring. Languages: English, English, English, English, English, English, English, English, English, and English. Organisations: UNHCR, UNHCR, UNHCR, UNHCR, UNHCR, UNHCR, UNHCR, and UNHCR. 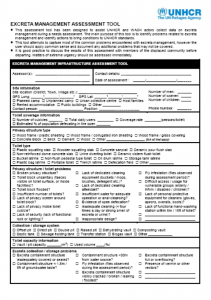 Categories: WASH Blank Forms, WASH Blank Forms, WASH Emergency Guidelines, WASH Emergency Guidelines, WASH Emergency Tools, WASH Reference Documents, WASH Reference Documents, WASH Reference Documents, WASH Reference Documents, WASH Reference Documents, WASH Reference Documents, WASH Reference Documents, WASH Reference Documents, WASH Reference Documents, and WASH Reference Documents.